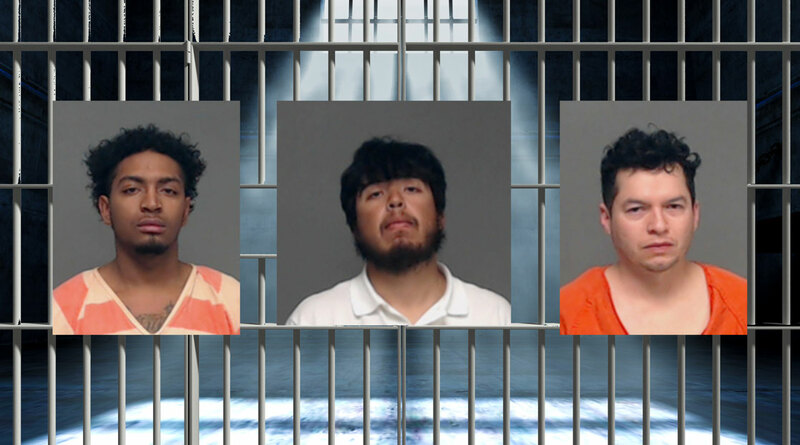 SAN ANGELO, TX – Seventeen people booked into the Tom Green County Jail on Monday. The Tom Green County Sheriff's Office, the San Angelo Police Department, and the Department of Public Safety arrests included multiple driving while intoxicated and drug possessions. They also arrested a man for evading arrest and not identifying himself as a fugitive from justice. Henry Medrano was arrested for driving while intoxicated at 12:28 a.m. His bond has not been set at this time. Michael Medina was arrested for possession of marijuana and two counts of possession of a controlled substance at 1:06 a.m. His bond is set at $16,000. Demetrius Stokes was arrested for possession of marijuana and a controlled substance at 1:46 a.m. His bond was set at $2,000 and was released at 6:13 a.m.
Jamie Coombs was arrested for a class C assault at 3:03 a.m. His bond was set at $492 and was released Tuesday at 1:58 a.m.
Monica Garcia was arrested for possession of marijuana, a controlled substance, and a prohibited weapon for knuckles at 3:41 a.m. Her bond is set at $9,000. Alejandro Macias was arrested for his second driving while intoxicated, failure to stop at a red light, and failure to signal a turn from 100 ft. away at 4:08 a.m. His bond was set at $2,220 and was released at 1:28 p.m.
Johnny Williams was arrested for public intoxication at 4:27 p.m. His bond was seta at $442 and was released Tuesday at 4:28 a.m.
Kenneth Rodriguez was arrested for driving with license invalid with a previous suspension at 6:24 p.m. His bond was set at $500 and was released Tuesday at 4:28 a.m.
Darion Brown was arrested for evading arrest, failure to identify as a fugitive from justice, and criminal trespassing at 7:03 p.m. His bond is set at $1,500. Victoria Perez was arrested for public intoxication and failure to identify as a fugitive from justice at 7:45 p.m. Her bond is set at $1,524. Randi Watkins was arrested for driving while intoxicated at 8:13 p.m. Her bond is set at $1,000. Mike Belman was arrested for criminal trespassing at 10:23 p.m. His bond was set at $500 and was released Tuesday at 4:43 a.m.
Raul Villarreal was arrested for assault that caused bodily injury to a family member at 10:53 p.m. His bond has not been set at this time. Claudelia Martinez was arrested for forgery of a financial instrument and credit or debit card abuse at 11:21 p.m. His bond is set at $7,500. Omar Borjas was arrested for possession of marijuana and a controlled substance at 11:22 p.m. His bond is set at $1,000. Charles Curtis was arrested for theft, criminal trespassing, and possession of drug paraphernalia at 11:51 p.m. His bond is set at $1,566 and was released Tuesday at 5:28 a.m.
Stephen Bobholz was arrested for public intoxication at 4:08 p.m. His bond was sest at $422 and was released Tuesday at 5:58 a.m.